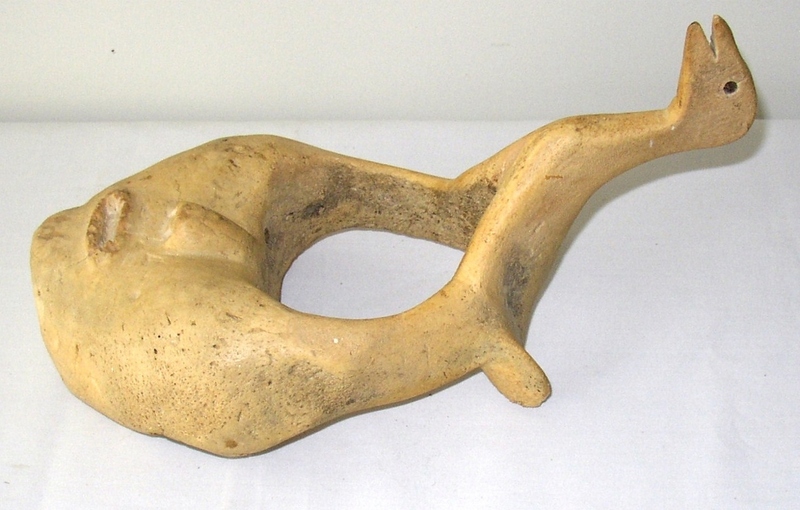 19th C. Native American Effigy Mask carved from a whale bone vertebra (whale spine section). Depicts Inuit face with bird crest. Bird has baleen eyes. 13 1/2″ high, 7 1/4″ wide and 7″ deep.